We give precise quantum resource estimates for Shor’s algorithm to compute discrete logarithms on elliptic curves over prime fields. The estimates are derived from a simulation of a Toffoli gate network for controlled elliptic curve point addition, implemented within the framework of the quantum computing software tool suite LIQ\(Ui|\rangle \). We determine circuit implementations for reversible modular arithmetic, including modular addition, multiplication and inversion, as well as reversible elliptic curve point addition. We conclude that elliptic curve discrete logarithms on an elliptic curve defined over an n-bit prime field can be computed on a quantum computer with at most \(9n + 2\lceil \log _2(n)\rceil +10\) qubits using a quantum circuit of at most \(448 n^3 \log _2(n) + 4090 n^3\) Toffoli gates. We are able to classically simulate the Toffoli networks corresponding to the controlled elliptic curve point addition as the core piece of Shor’s algorithm for the NIST standard curves P-192, P-224, P-256, P-384 and P-521. Our approach allows gate-level comparisons to recent resource estimates for Shor’s factoring algorithm. 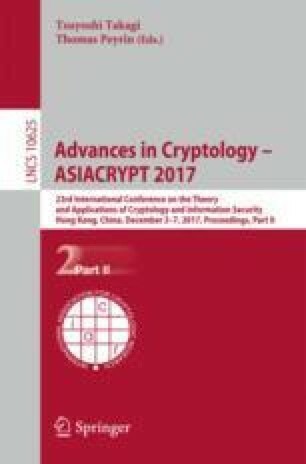 The results also support estimates given earlier by Proos and Zalka and indicate that, for current parameters at comparable classical security levels, the number of qubits required to tackle elliptic curves is less than for attacking RSA, suggesting that indeed ECC is an easier target than RSA. We thank Christof Zalka for feedback and discussions and the anonymous reviewers for their valuable comments.